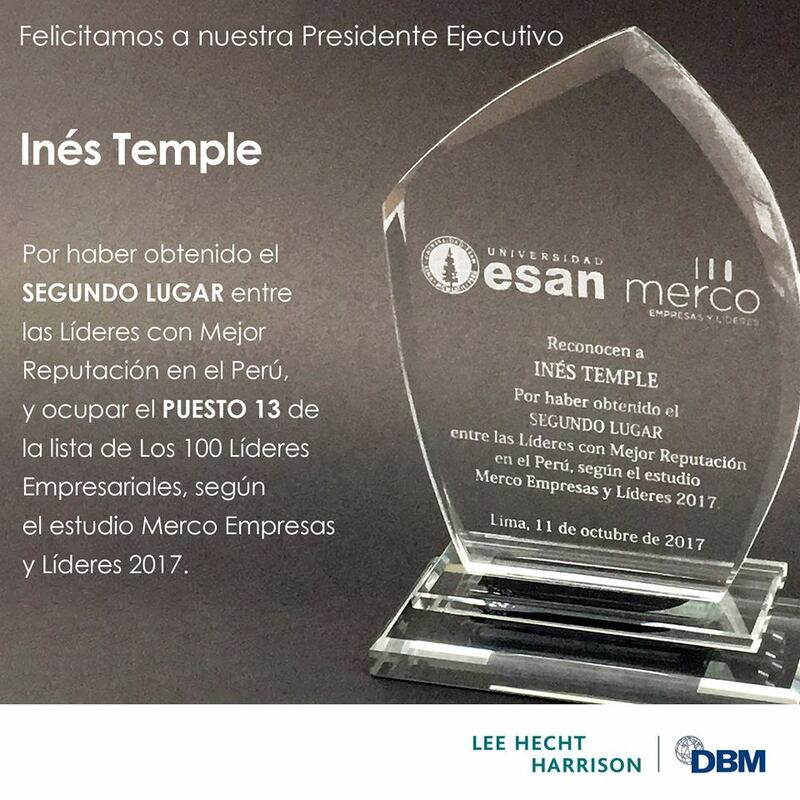 For the third year running, LHH DBM Peru President, Ines Temple, was ranked the No. 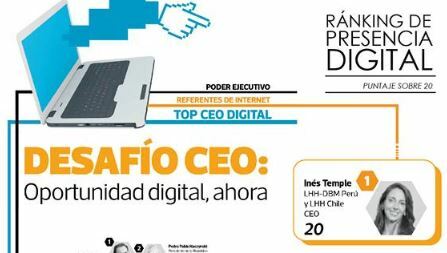 1 CEO with online presence for the management of her personal brand online in the 2018 Ranking of CEOs Online in Peru, carried out by Café Taipáy Peru TOP Publications. Moreover, Inés Temple, obtained a perfect score (20) in the study for online presence. 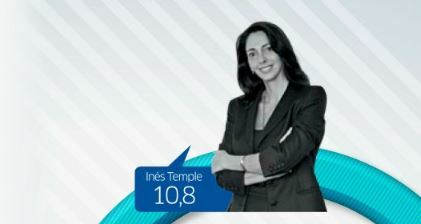 Ines Temple, president of LHH-DBM Peru, obtained second place in the women’s category. 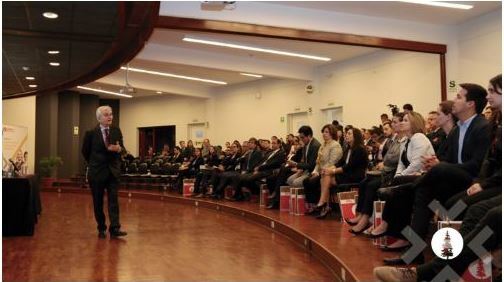 Merco Peru is a flagship corporate event in Latin America and Spain that has been evaluating the reputation of companies since 2000. 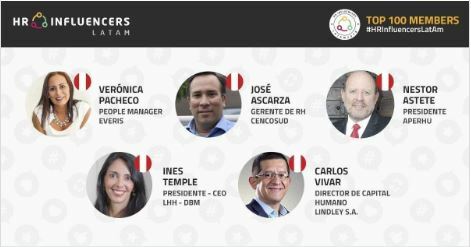 Among the Top 5 Peruvian HR Influencers LATAM in the 2018 ranking. #HRInfluencersLatAm is the first Latin American human resources ranking comprised of human resource experts and leaders whose knowledge and influence enrich the work of many professionals in the region. They use different face-to-face and digital media, making their valuable content and experiences available to all. The ranking is carried out by way of the vote and opinion of human resource professionals in Latin America. 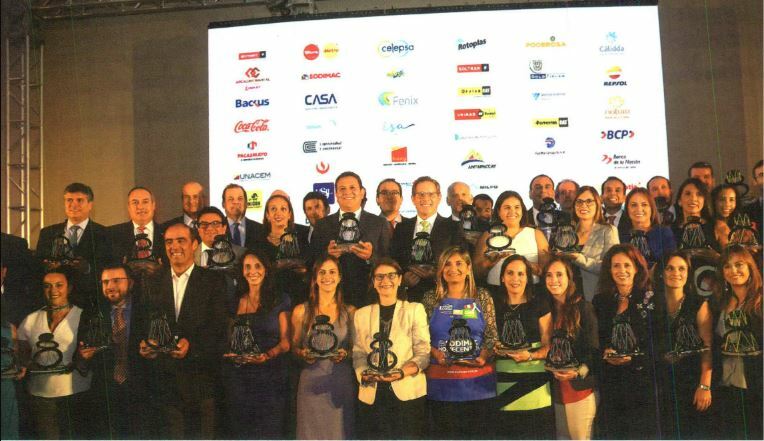 Sixty-three companies from nineteen different economic sectors were recognized in the 7th edition of the Socially Responsible Company Awards (ESR®). 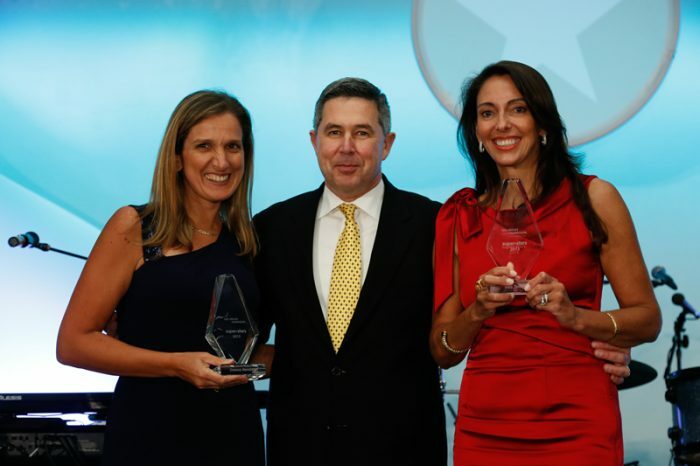 Lee Hecht Harrison Peru, a company led by CEO Ines Temple, is on the list of awardees. 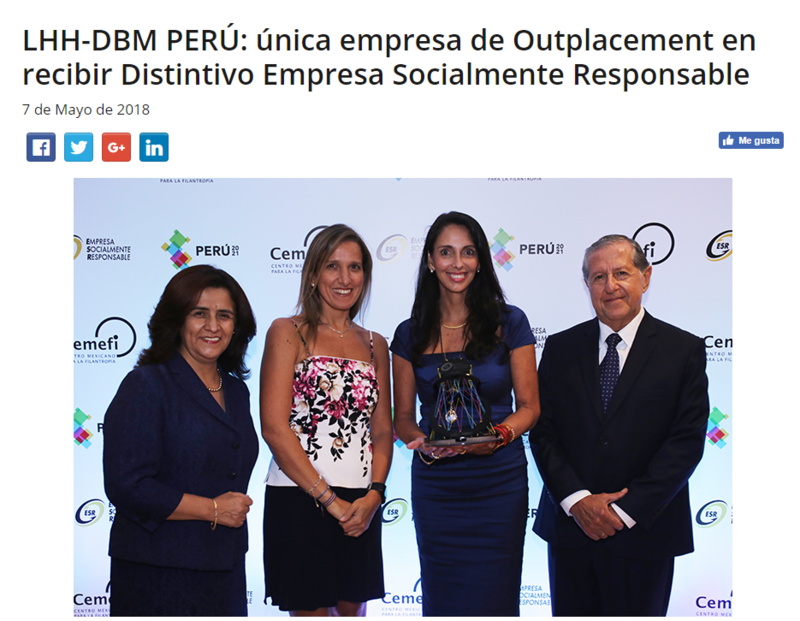 For the sixth consecutive year, Lee Hecht Harrison DBM Peru received the 2018 ESR (Socially Responsible Company) Award, bestowed by Peru 2021, a Peruvian non-profit association. 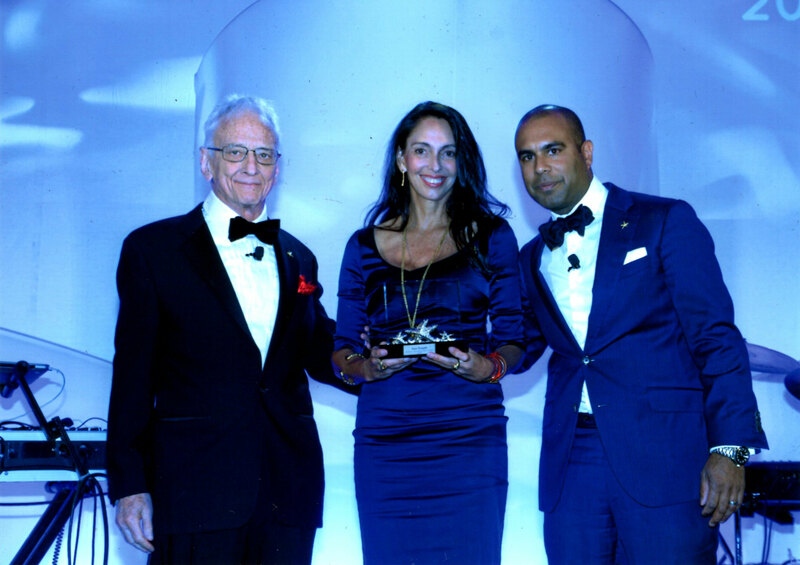 Ines Temple, CEO of LHH DBM Peru and Chile, received the 2018 Star Thrower Award during the Lee Hecht Harrison (LHH) global convention in Phoenix, Arizona. The Star Thrower Award is a traditional LHH award given to people who do the most to improve the lives of others within the LHH community in 65 countries around the world. No. 2 among the Most Reputable Leaders in Peru, and No. 13 among the top 100 Business Leaders, according to the study carried out by Merco Empresas y Líderes 2017. LHH DBM Peru president, Ines Temple, No. 1 in online presence in Peru, in the Online Presence Peru ranking carried out by Café Taipá.